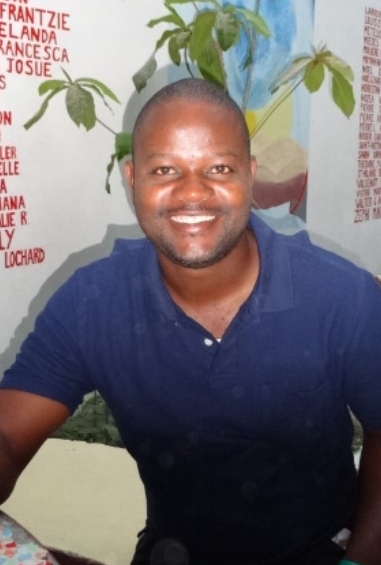 Alumni Stories — The Haitian Project, Inc. In February 2018, medical student and junior staff member Jean Lochard Laguerre (LCS ‘14) fell ill with perforated appendicitis. Fortunately, he was able to receive excellent care from another LCS alumnus, Dr. Jean-Came-Emile Poulard (LCS ‘06). Besides contributing to an essential industry, Edwide Marcelin (LCS '15) exemplifies a Louverturian. She retains the values imparted at LCS, continues to support LCS and is actively supporting Haitian institutions through her career. Dolph-Froid Payoute (LCS '15) is passionate about using his education to create solutions for his country. He hopes to improve Haiti’s infrastructure by developing roads and buildings for the government after university. Based on James Phillip Coqmard's (LCS '10) experience, he says that laws [in Haiti] are both difficult to enforce and difficult for most people to understand. Inspired to change this, he hopes to continue after law school to earn a master’s degree in criminal law. Since Kismith Bissainthe graduated from Louverture Cleary School (LCS) in 2005, she has consistently held employment in a country where even for the educated it can be difficult to find and maintain a job. Jean Paul Felder (LCS '03) started his own sandal-making business, Collibel, in 2009. With the success that came through his business, he realized that he needed to give back to his community, Cité Soleil, after the earthquake in 2010.